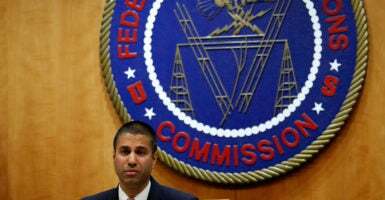 The Federal Communications Commission’s short-lived “net neutrality” rules officially ended Monday, replaced by a measure the agency says will keep the internet open to all while protecting consumers. Opponents on the left have predicted numerous negative results for consumers from repeal of the rules, ranging from an inconvenience to an outright catastrophe. A disastrous decision, it will impact every American. It will give huge advantages to big corporations over small businesses, to big media companies over smaller media outlets. We’ve gotta do everything we can to defeat this thing in the courts, and defeat it legislatively. Without #NetNeutrality when a couple is streaming their favorite #Netflix show but it keeps lagging and killing the mood, who will be to blame? 3. Schumer also said it would preclude streaming a Yankees game on a cellphone. [THREAD] Without #NetNeutrality when you’re trying to stream the @Yankees game on your phone and you miss every other pitch, who will be to blame? 5. Feminist lawyer Sandra Fluke called repeal an attack on “reproductive freedom,” citing the National Association for the Repeal of Abortion Laws, or NARAL. 6. Senate Democrats warned that repealing the rules would mean extremely slow internet speeds. 7. Singer, entertainer, and apparent tech expert Cher said Comcast and Google would limit what consumers may see online. Internet ? ?It Will Include LESS AMERICANS NOT MORE? ?